At the East Region RIBA Awards ceremony held in Leicester on Thursday 22nd September The Newton and Arkwright buildings won one of the Regional RIBA awards presented that evening and a National RIBA award and plaque. "The Nottingham Trent University by Hopkins Architects is a skillful renovation of two existing historic buildings creating a contemporary university building which is clearly an uplifting and welcome addition to the campus, students, faculty and staff." "Nottingham Trent University are very proud to accept the National and Regional RIBA Awards for the Newton and Arkwright regeneration scheme. 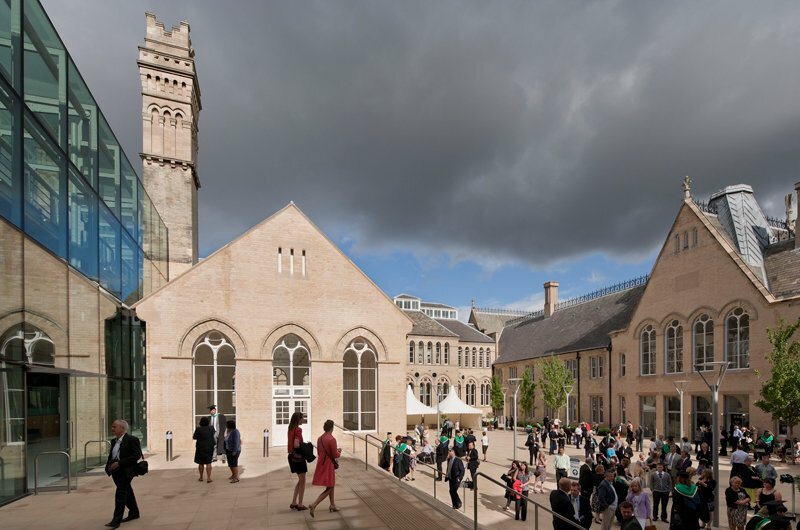 It has delivered world-class teaching and learning facilities, created a vibrant heart for the University's City site and reinvigorated the Nottingham cityscape".